My main activity is the design and the development of software. They can be complete applications, modules, tools or any kind of software. I guarantee the confidentiality of your projects. Please note I do not do Web development. After twenty years of experience as a designer, developer, initiator of projects, I will be happy to steer you in your computer choices. I published some products that can give a good idea of my work. 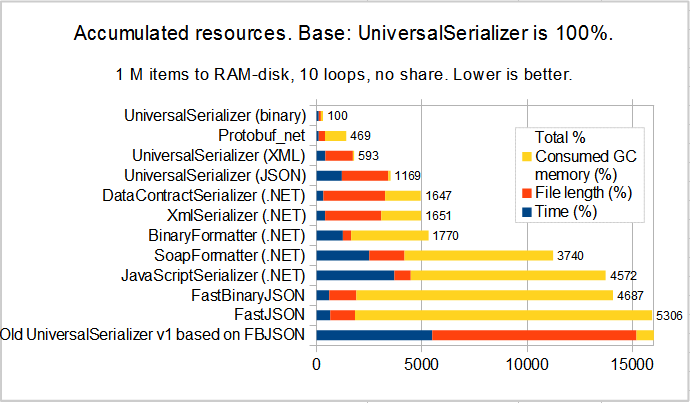 In UniversalSerializer, a data serialization library, I chose not to integrate external open-source or proprietary libraries, and therefore to develop all the features in the same product. This is a very portable library that runs on Windows, Macintosh, Linux, iOS, Android and .NET Core. 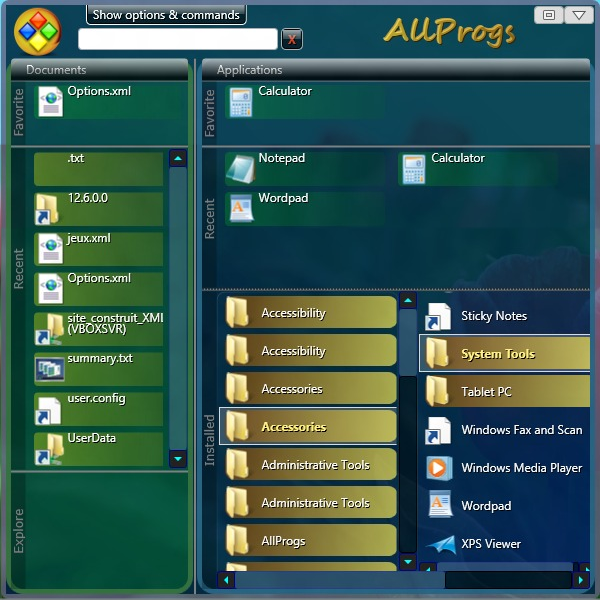 AllProgs is an example where I created a variant of the Windows Start menu, but based on real scrolling areas and not on the concept of drop-down menus. This software also represents some graphic work and research in ergonomics. Xamarin/Mono on Android and Linux. Code refactoring (that is the post-modification of a generated assembly). HTML (this site was created with Microsoft Expression Web, without any CMS or existing model). I have practiced C and C++ for a long time, but I no longer use them. Copyright © Christophe Bertrand. All rights reserved.